Though the warm, historic design of these floors harken back to a simpler time, Vesduras 9.5mm Old Country collection is far cry from the rudimentary floorboards of our forefathers. 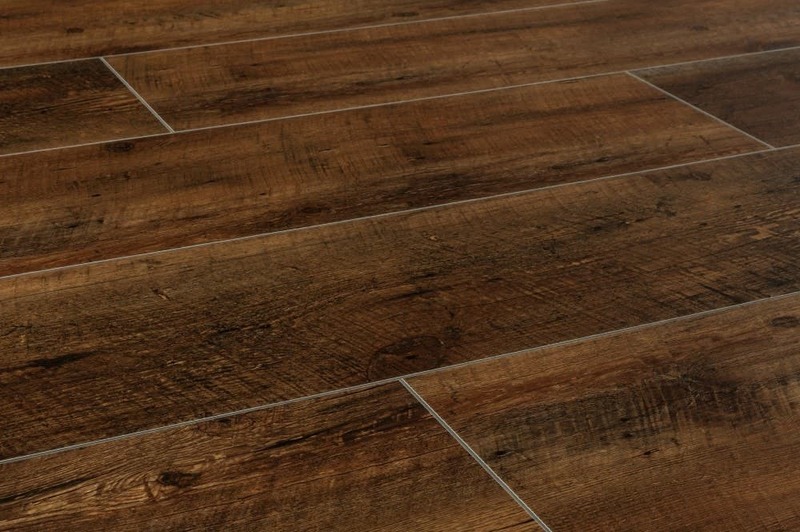 A great addition to any bucolic space, these expertly manufactured planks marry the charm of the prairie pastoral with the innovation of 21st century flooring. Unparalleled quality and pricing: unmatched by our competitors, Vesduras Old Country collection offers customers the best quality, at the best price. Rich, authentic designs: brilliantly replicated onto each long plank, the natural-looking wood pattern of these floors make them a great addition to any rustic dcor. DIY-friendly installation: no need for nails or glue here, these gorgeous planks come together in a snap with the easy to use UNICLIC system. Soft, silent, smarter flooring: manufactured with a cork underpad already attached, these floors provide cushion underfoot and dampen noisy foot traffic without any additional underlayment required. Highest quality, lowest emissions: unaffected by the breakdown of harmful emissions found during the recycling process, these floors are manufactured from new, uncompromised vinyl materials. This means your flooring is safe from impurities, and your family is safe from harmful chemical emissions. Elegant, long planks: this means more surface area per board, and fewer boards overall to lay during installation. The end result is a lasting traditional European plank look, bolstered by a robust wear layer.